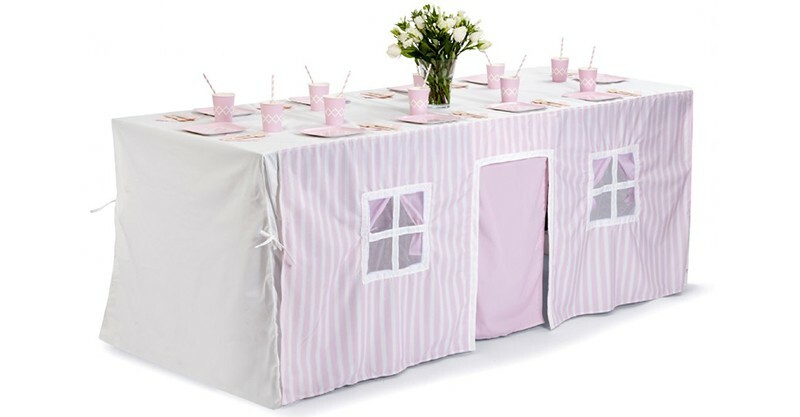 Tabletop Tent - where the table can be the life of the party! Tabletop Tent – where the table can be the life of the party! Prepare to dazzle the crowd with your best party tricks at your next party or shindig, including morphing the table into a fabulous fort! The Tabletop Tent is destined to become a real crowd pleaser, especially so with your youngest guests (or any of those particularly nimble). A tablecloth with a speccy double act as a fort, building a cubby has never been simpler. 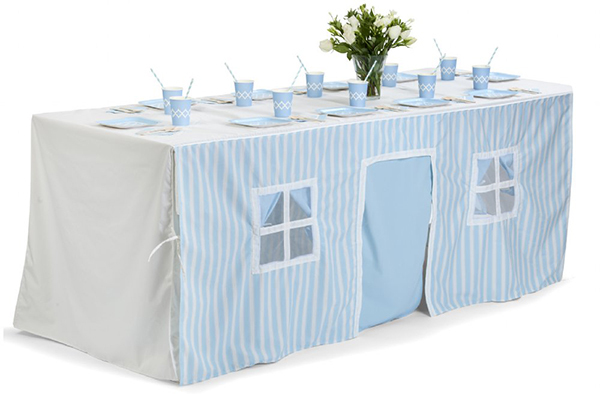 Available in blue and pink to fit large rectangular tables, the Tabletop Tent has a functioning door and three mesh windows for youngsters to peek through. Made from durable polycotton canvas, this is one tablecloth that will withstand many a party buffet atop it and many a guest clambering under it! We also recommend pulling it out on rainy days or during school holidays to keep the kids busy. An awesome addition to your party throwing arsenal, the Tabletop Tent is priced $160 and can be purchased directly from Little Kite.